California Baptist University women’s softball traveled to Texas over the weekend of Feb. 8-10 to compete in the Aggie Classic tournament. This was the team’s first time being eligible to compete in the tournament, as well as its first time playing as a Division I team. CBU left the tournament with one win and four losses. Although results were not what the Lancers said they had hoped for, the team is regarding this as a learning experience to prepare for the rest of the season. Deanna Alarcon, junior marketing major and in elder, said the tournament, which included the University of North Texas, the University of Northern Colorado and Texas A&M University, was an eye-opener. Alarcon said the team was encouraged by Bill Baber, head coach of softball, to play as one. “Our coach really emphasized that it is going to take all of us, all 24 of us, to be successful this season,” Alarcon said. Brittany Galvez, junior kinesiology major playing third base, said she is ready to continue focusing on the rest of this season. As one of the upperclassmen, Anise Avalos, senior psychology major and shortstop, said she is ready to continue with her leadership role and to encourage her teammates. Avalos said she views the weekend as a valuable endeavor and is ready for the next game. As soon as the team returned Monday morning, the team began practice that same afternoon to prepare for its home opener, Feb. 18, against Fresno State University. 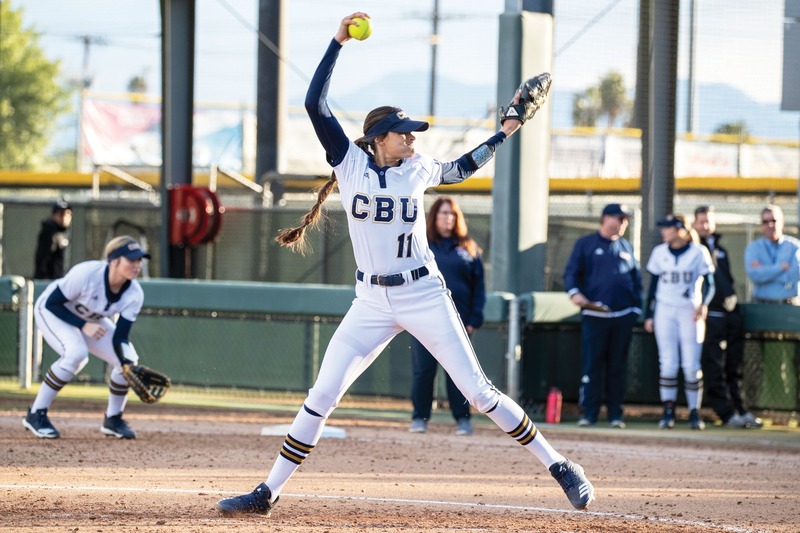 CBU picked up an impressive 8-0 victory over Fresno State University scoring eight of its runs within the first three innings and allowing only one hit for the Bulldogs.